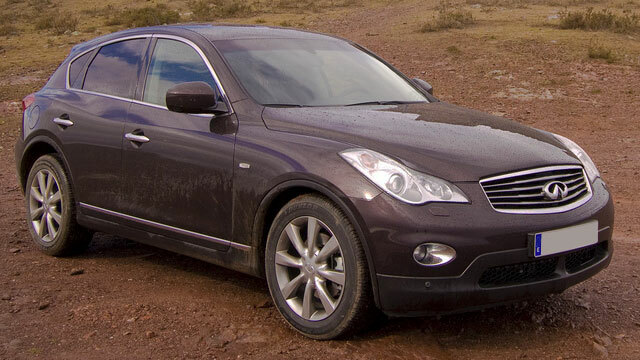 Infiniti brand is known for manufacturing vehicles that have quality, safety, and state-of-the-art technology. It receives awards for safety and quality on regular basis, which means that it's very important to keep your investment in top shape. Even though it's recommended to visit your dealership when there's a problem with your vehicle, that is not always the best option. Luckily for you, there's a dealership alternative in Pleasanton, Domestic Autopro. We perform a wide array of auto repair and maintenance services for all Infiniti models. We have a team of experienced and skilled technicians who receive factory training and continuing education each year, so that they can be up to date on the latest software, technologies, and diagnostic tools, to keep your Infiniti in top condition. Domestic Autopro provides Infiniti repairs and services to residents of Pleasanton and surrounding communities. When you come to us, you and your Infiniti vehicle will receive personalized attention and care you deserve. Domestic Autopro in Pleasanton is the premier auto repair shop in the area for top-notch Infiniti service and repair. Your Infiniti vehicle is a major investment so if you wish to protect it and keep up its warranty, you should perform regular maintenance services. You can preserve the value of your Infiniti and extend its life by having proper maintenance services performed at Domestic Autopro. Give us a call today or schedule an appointment online and let us take care of your Infiniti vehicle.